SAN RAFAEL — Friends and relatives of Ashley Yamauchi will gather Wednesday, Dec. 17, at 6:30 p.m. to mark the sixth anniversary of her unsolved murder. Yamauchi, 33, of Greenbrae was sexually assaulted and strangled. 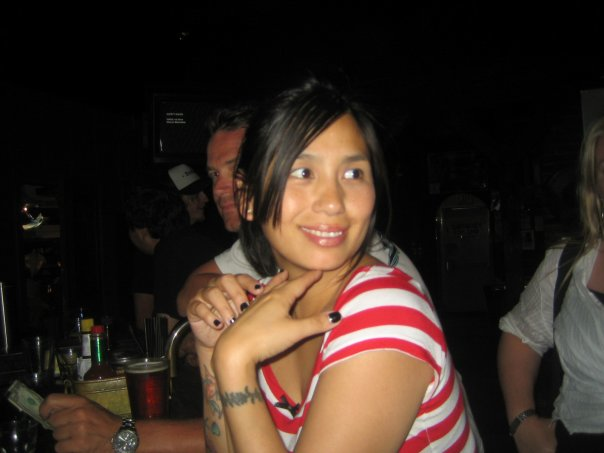 Her body was found on Dec. 16, 2008 in a parking lot on the 700 block of Fourth Street in downtown San Rafael. She was last seen at the Fourth Street Tavern, 711 Fourth St., which has since closed. The gathering will take place at that address. Despite a $50,000 reward offered for information on the case, authorized by then-Gov. Arnold Scharzenegger, the San Rafael Police Department has not identified any suspects. Organizers of the annual memorial have expressed frustration over the lack of progress in the case, and continue to believe that someone saw Yamauchi leave the bar with her killer but has yet to come forward. For this year’s memorial, Castrillo made buttons with various photos of Yamauchi for participants to wear. Yamauchi, who worked as a nanny, left behind a daughter, now 14, as well as her mother, Dolly Yamauchi, and brother, Heath Yamaguchi. Remembrances and photos continue to be posted on the “R.I.P. Ashley Yamauchi” Facebook page. In June, messages from friends and family marked what would have been her 39th birthday.